We do not teach specific lessons in British Values. Rather these values are embedded in our structures, our curriculum and our ethos. They are something which all staff model for our children, and for each other, every day. They are not only British values – they are values which are important to people of every nationality, all over the world. 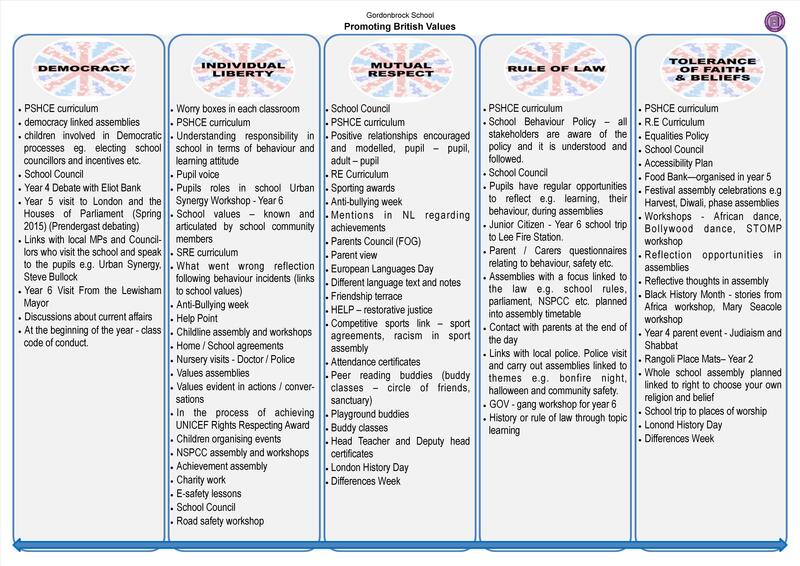 To read more about British Values at Gordonbrock please click here.